New hearing aid technology may not be a topic you get particularly excited about, but as hearing loss can have a big impact on later life, these unassuming gadgets could have real potential to make a difference. And it seems developers are waking up to the potential for hearing to go more hi-tech. These advances in technology promise to make hearing aids more comfortable, intuitive and effective. We’ve rounded up some of the exciting new and upcoming products for people with hearing loss which highlight how innovations could help to improve accessibility and keep you in tune with your surroundings. When we asked Which? members the reasons for using their hearing aids infrequently, the main reasons were that they didn’t make enough difference to their hearing (41%) and that the background noise was too loud (32%). 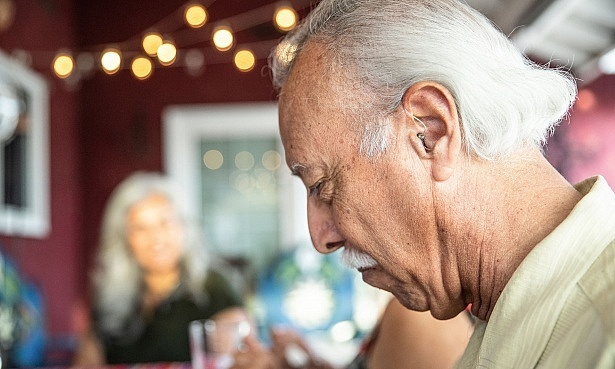 The new tech we’re seeing looks to improve these common hearing aid issues, focusing on a highly improved quality of sound, auto-adjustment to your preferences for different scenarios and minimal buzzing, whistling or distortion in the background. Billed as a personal assistant for your ears, Oticon’s Kaizn is an AI-powered smartphone app that helps personalise how your hearing aid works. It works in conjunction with Oticon’s Opn hearing aids. 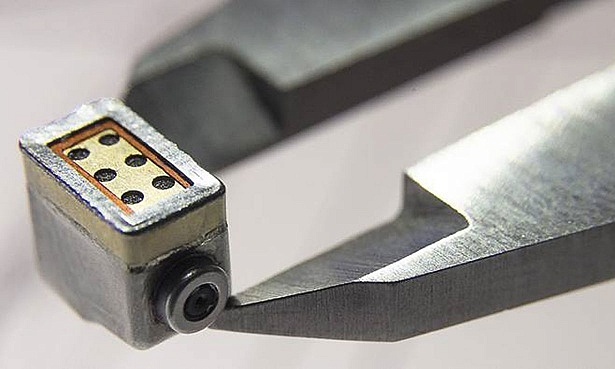 According to the manufacturer, it ‘collects and analyses data about an individual’s hearing aid use and listening environments’ and then send you push notifications in real time with advice on adjustments. For example, if you walk into a loud restaurant, Kaizn might ask you whether you need ‘focus’ or ‘comfort’ in that atmosphere, and adjust the hearing aid accordingly, making the process of adjusting your hearing aids easier on the go. Over time, the app is designed to learn your preferences and automate some of these adjustments according to your previous preferences in similar environments. Oticon’s Kaizn won an Innovation Award at the 2019 Consumer Electronics Show (CES). The Livio AI hearing aid tracks your health using built-in sensors and AI technology that monitors your physical and cognitive health while in use. 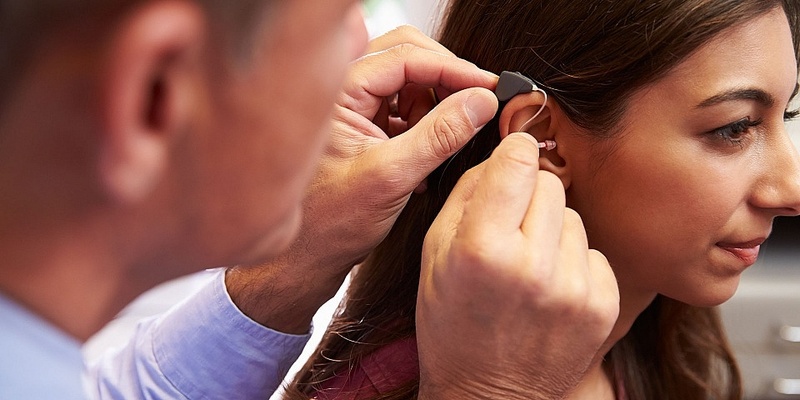 The aim, according to manufacturer Starkey, is to ‘enable people to continuously monitor and improve their overall health besides treating hearing loss, reducing the associated risks of dementia, anxiety, and social isolation’. It’s also the first hearing aid that you can connect to Amazon’s Alexa smart voice assistant, as well as your smartphone or TV to stream audio from. It works with an app called Thrive (more on this below). A fall detection feature is planned for a future update, which senses when someone has fallen over and send out an alert to a nominated person. Livio AI is currently only available in the US and Canada, but should be rolled out to 20 more countries in 2019. 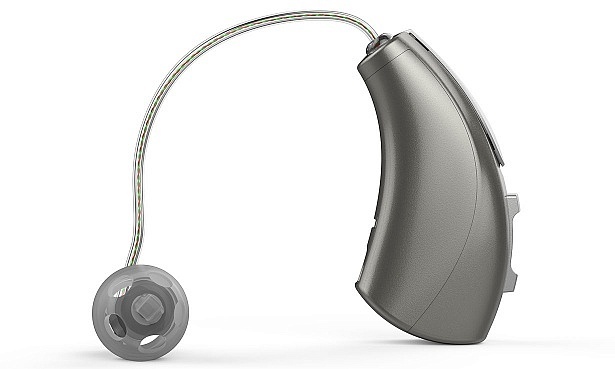 Update for 20 March 2019 – the Livio AI is now available in the UK from chain and private hearing aid distributors, with prices from £3000. More and more hearing aids are coming complete with their own apps, making it easier for users to control and personalise their settings via a smartphone or tablet. One of the nifty-sounding features of Livio’s app, Thrive, is that it allows users to create geotagged ‘memories’ for their hearing aids, to automatically adjust to your preferred settings in specific places you’ve been before, such as your local coffee shop. The app also collates the tracked health data from Livio to give you a ‘Body’ score – based on a combination of step count and other movement – and a ‘Brain’ score, which is based on things such as daily use, ‘engagement’ in conversations or streaming, and active listening in different environments. Both the Livio AI hearing aid and the ReSound Linx Quattro (currently available from around £1,300-£1,700 per ear) come with the ability to request fine-tuning of your hearing aids from a professional. The Phonak Audeo Marvel also has remote support services. Its app lets you keep a hearing diary so you can log your experiences with your hearing aid and share them directly with an audiologist, allowing for more accurate feedback. The Phonak Audio Marvel was also a 2019 honoree at the CES innovation awards. It’s available in the UK from about £1,700 per ear. 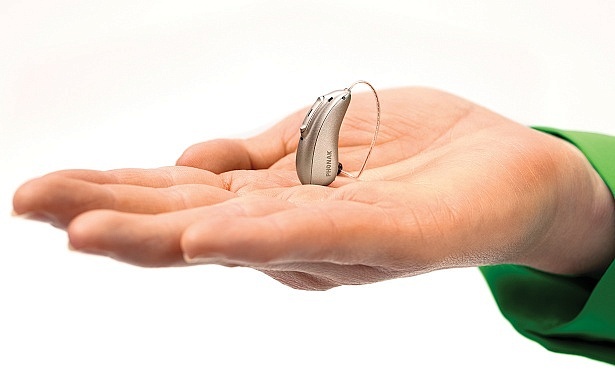 Widex has developed the world’s first battery-free hearing aid, the Widex Evoke, which contains the smallest commercially available ‘fuel cell’ that re-energises in 20 seconds and provides 24 hours of use, meaning you never need to change the batteries again. It’s already been recognised as a CES Best of Innovation Honoree and at the Red Dot design awards. It’s set to be available from summer 2019. Like other new hearing aids, it has app control, too. It’s not just about hearing aids, wider tech developments are taking the needs of those with hearing issues into account. For example, Nuheara’s IQBuds let you selectively tune in or out of ambient sound, as the situation demands. You can choose to enhance speech in busy restaurants, or tone down the loud screeching of the tube. They’re available in the UK for around £200. The hearing aids above are only available privately, so they won’t be affordable for everyone. We don’t have all the prices yet as some haven’t quite reached the UK, but most will offer a range of models from standard to premium – so there’s likely to be quite a broad price bracket. Find out more about typical hearing aid costs and more advice on NHS versus private in our hearing aid prices guide.